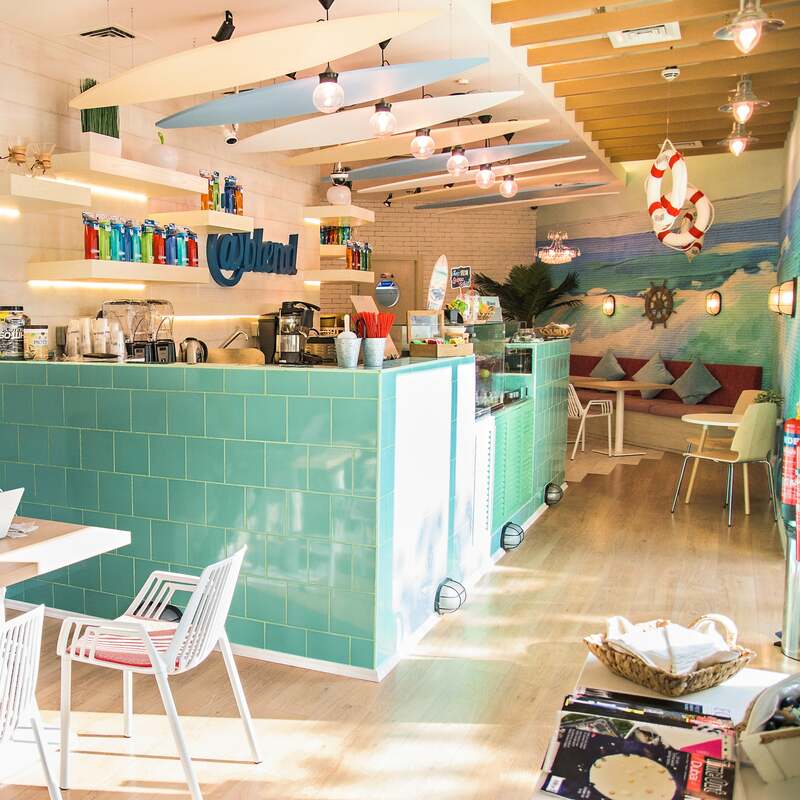 The @blend healthy cafe in Palm Jumeirah. This article was co-written with Mohamed Al-Sadiq, co-owner, @blend. At some point in time, who hasn’t dreamt of opening up their own place? It’s an extremely desirable feeling to know that you could be your own boss and take a small startup through a challenging road and make it a Fortune 500 company or, as we are here in the Middle East, have it traded on Dubai’s Stock Exchange. But such endeavors shouldn’t be taken lightly. You might have the best idea in the world, maybe something that nobody has ever thought of before, or a new approach to an existing food & beverage (F&B) concept that hasn’t reached the point of market saturation yet in the area- however, even with such great concepts, you will have to walk through the inevitable road of managing the project through the pains and sorrows of establishing a startup. Dubai is one of the most business-friendly cities and markets in the world, a phrase that we’ve all undoubtedly heard before. You can establish your new company in few days (which is true, by the way), but establishing your company in the Department of Economic Development (DED) or any available free zone is only the tip of the iceberg. This article will take you through some of the project management challenges entrepreneurs can face when trying to establish a new F&B business. 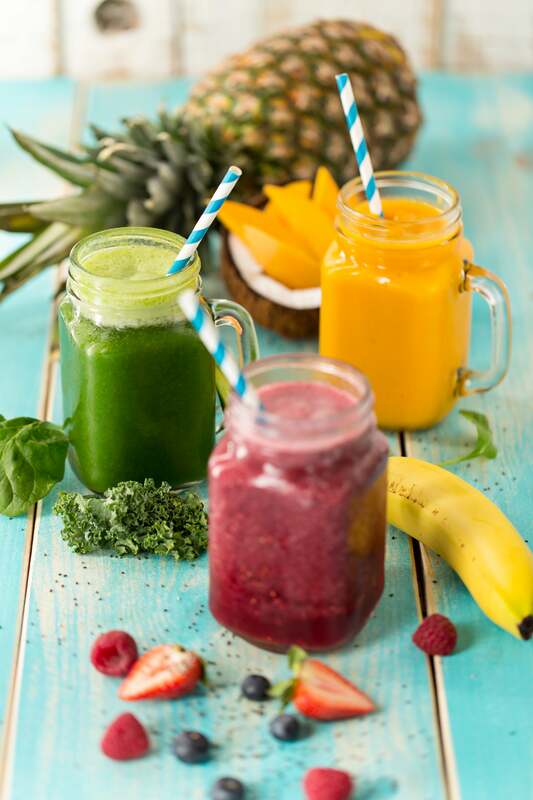 This piece is tailored more towards managing the project and establishing the business in Dubai, as it is based on our experience establishing own own business, @blend, a newly launched healthy café located at Palm Jumeirah in Dubai, UAE. We hope that this will provide hints and tips insightful for those who are about to start, while at the same time providing useful reflection for those who are in the middle of the process or just about to finish. Even if your enterprise is one of the rare self-funding cases and not relying on outside funds, you still need to develop a feasibility study for the same. A strong F&B conceptual development and feasibility study should, as a minimum, detail your concept justification, profit channels, execution plan, brand positioning and company description. On the monetary side of it, your feasibility study should list your capital budget (including all details of rent, construction, equipment, professional services, organization development and all expenses up to pre-opening). In addition, your feasibility study should list the sales projection, staff hierarchy, assumptions, profit & loss calculations and break-even calculations. All of the above should be completed before establishing your company with DED, signing agreements for lease and before signing contracts with contractors and suppliers. Knowing such parameters is crucial to know if your project is worth pursuing or not. It will also act as your baseline that you will be measuring against during the execution phase and post-opening. What all this means is this: spend some money on developing your conceptual development. If you are not familiar with the F&B market in Dubai, hire someone who is. There are several available F&B consultants in Dubai who have been in the market for years, and have developed hundreds or more of such conceptual and feasibility studies. Some of them, like the one we worked with (Restaurant Secrets Inc.) provide comprehensive services including menu development, recruitment, interior design, etc. It’s never a loss to hire a PRO and business setup firm. During the execution phase of your project, unless you have an army of staff working for you, you, as an entrepreneur, don’t want to spend long hours waiting in the Department of Residency and Foreign Affairs to get a quota to obtain visas for your newly hired chef or waiters. You will probably pay extra per government-service if you do it through a business setup firm. However, it is worth every penny. You will be dealing with almost every government entity in Dubai, and each one will have its own requirements and steps. It is almost guaranteed that you will not achieve what you want from the first trip to the government entity. This is not due to lack of efficiency from their side though- most of the time, it is the lack of knowledge from your side of what they need to accomplish your transaction. Save yourself precious time and get someone else who knows what to do take care of it for you. This applies to all newly designed restaurants in Dubai or elsewhere. But what makes this a particularly critical decision to make in Dubai is that this city is becoming an architects’ Disneyland. Sure, you will find hundreds of interior designers who will tell you that they can build the best design for you. Well, they might- but would their concepts be practical for a restaurant? A smart F&B restaurant designer will account for the restaurant operations, attempt to reduce wastage, maximize utilization of expensive floor space (especially in the kitchen), and will know the exact Dubai Municipality, Civil Defense and other government requirements that will impact the design. For instance, the municipality mandates that the preparation/kitchen area must be 300 sq. ft. or 40% of the total area, whichever is bigger- your designer should know details like this and contracting someone who hasn’t worked in the sector can backfire when this knowledge is learned too late! It would also be useful to involve your chef in the design of your enterprise, right from the early stages. They will be able to provide useful input for running the kitchen that suits the menu items, streamlines operations, and reduces wastage. It will help the chef and his or her team to plan ahead, instead of burdening them with restrictions on what they can and can’t do in the kitchen. The @blend healthy cafe in Palm Jumeirah. Image credit: @blend. Don’t always go for the lowest bidder. Look at the supplier’s or contactor’s track records, talk to previous customers, evaluate their after-sales services, and then select the lowest of the pre-qualified contractors/suppliers. You probably need to select a really good supplier for kitchen equipment (fridges, freezers, ovens, etc. ), as these equipment are major assets and you want to minimize the chances of them malfunctioning while you are running your restaurant. However, there are areas where you can find good low-cost alternatives for them- for instance, Salahudin Street in Dubai can help you source items like stainless steel tables, sink basins and kitchen cupboards for cheap. A straightforward example is the POS system. A brand new fully-integrated system might cost you around AED50,000. However, there are now cloud-based POS systems that you can install on an ordinary laptop or iPad, and cost around US$99 per month only. Always look out for smarter technical solutions that may save on cost and time. This is especially important when dealing with fit-out and construction contractors. Always know what is included and what is not included in your contract. Where you can, include some penalties for late completion, and always make allowance in your budget for at least 15%-20% as future variations that will show during the execution phase. Here’s what no one will perhaps tell you: it’s not easy finding qualified manpower in Dubai. The options are most likely more than what you can handle. A simple Dubizzle ad for a waiter or assistant cook will get you hundreds of submissions, which can lead to lengthy hours and days of screening and interviews. The candidates can either be not qualified, or not available to join at your required time, or require a higher salary than your budget- there can be reasons galore. But this is just the beginning- once you find the right candidates, then the hard work begins. The visa processing time takes time, even if you have a PRO firm processing it on your company’s behalf (it would be much longer if you try to do it yourself). In many cases, you will find out that your candidate’s visit visa is about to expire, and they have to leave the country without having their employment visa issued. And even after getting the visas, work permit, medical check, Emirates ID and Municipality occupational health card, you still need to train your staff. As a result, you really need to start early to avoid having your place ready and you are paying expensive rent while you don’t have staff to run the place. To make this a little less painful, allocate at least six months for the recruitment process. The best way to select candidates is through face-to-face interviews. At the end of the day, F&B is a hospitality business and you need to make sure that your front of the house staff have the capabilities to work in hospitality. If you can, hold a one-day open interviews session where candidates can show up with their CVs, and you can meet them and discuss with them on the spot, instead of only going through e-CVs on a computer screen. a. As soon as you sign the lease agreement, you will need to obtain the outlet drawings in order to modify them with your construction details that are specific to your restaurant. b. Once the design is finalized, it needs to be submitted to the Municipality (or Trakhees) to obtain the required approvals to start the work. c. The fit-out contractor will be late. They will mobilize only few people in the beginning; you need to keep pushing them and will probably need to be in location every single day more than once. You can easily be spending the first month of your enterprise in the aforementioned first item alone. So, always be prepared for this risk and plan it in your schedule. Variations are inevitable in construction business. The contractors know it, and in many cases, plan for it, so don’t panic when they send you the variation orders. Always go back to the contract to double-check what is included and what is not (note the criticality of the planning phase!). Negotiate with contractors and explore alternatives that can reduce the price or expedite the work. As a basic rule of thumb, never accept after-the-fact variation orders. Make this very clear in the contract. The contractor must obtain your approval prior to proceeding with the work. This is the frustrating part. Your fit-out and construction is complete; all equipment is installed, but you can’t start because you are waiting for the DEWA approval and the power connection, Civil Defense approval, Municipality approval, etc. This is the time that you are paying rent to the landlord while you are not generating any income- so be sure to factor this period into the initial budgeting. In order to make this process better for you, make it a point to talk to the local authorities and government entities. Some of them (especially the ones that require physical inspections) have express services for additional fees. You can weigh the additional fees against the loss if you delay the opening. Drinks served at @blend.Image credit: @blend. Although this bulletpoint is not related to project management, it’s a point that’s easy to miss when opening a new F&B outlet in Dubai, arguably the hub of the hospitality industry in the GCC. The city is full of restaurants and food outlets that are opening on a daily basis. It’s only strong marketing and PR work that will allow the name of your restaurant or brand to spread through your prospective consumer base. Without a strong marketing and PR strategy, you will be just another fish in the market that will go unnoticed. Given the criticality of this factor, it’s worth working with a PR and media consultant for three to six months to spread the word about your new brand. Work with them to invite bloggers, media reviewers, social media influencers to your outlet to try out the menu and review it. Participate in events, make agreements with social groups that can feed you valuable clients, and even put some money into a grand opening media event to the get the place known. In conclusion, we would like to emphasize the importance of careful and thoughtful planning. Starting a new F&B business in Dubai can be profitable; however, entrepreneurs must be prepared for the risks and challenges that they will be facing when trying to convert the idea in their heads to an operational restaurant. Making the greatest cake in town is one thing. Building the café that serves that delectable cake is totally another thing!